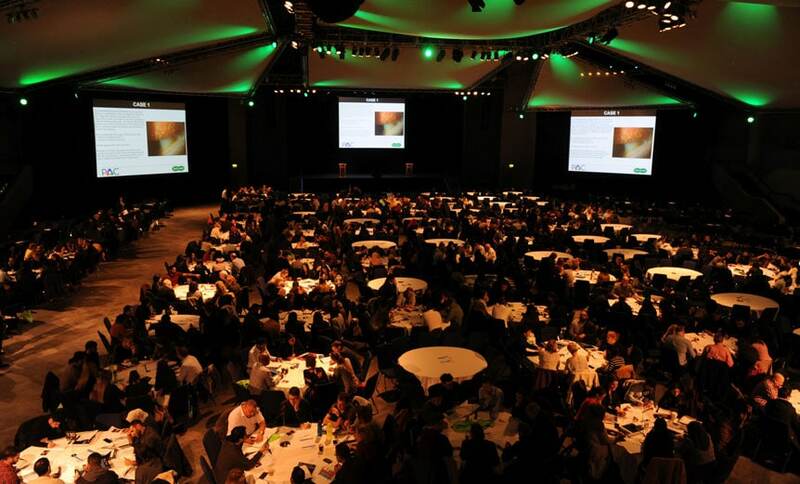 Practitioners had the chance to benefit from a truly multidisciplinary approach to learning at this year’s Specsavers Professional Advancement Conference, with a programme that brought together optometrists, contact lens and dispensing opticians, optometry undergraduates, ophthalmologists and audiologists. 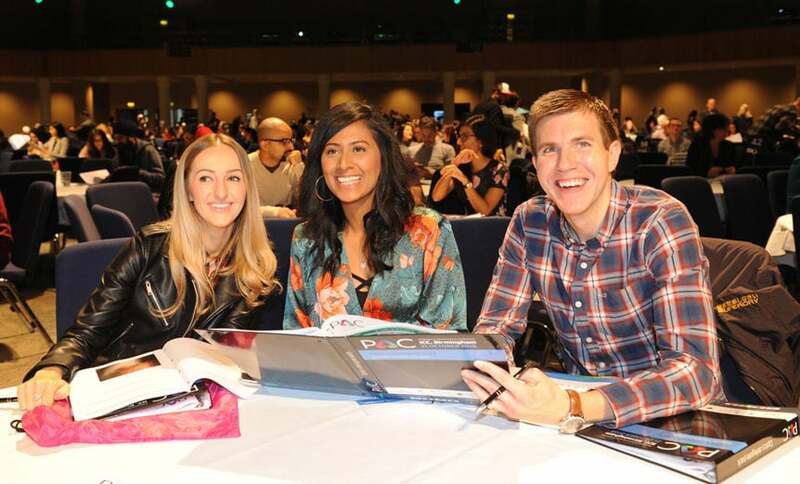 More than two thousand people were at the event on Sunday 21 October, taking over the ICC in Birmingham for a programme that was dominated by interactive discussion workshops and offered a year’s worth of CET points. As well as Specsavers practitioners, around 100 delegates were self-employed or independent optometrists. A further 65 practitioners came from Denmark, Finland, the Netherlands, Norway, Spain and Sweden. 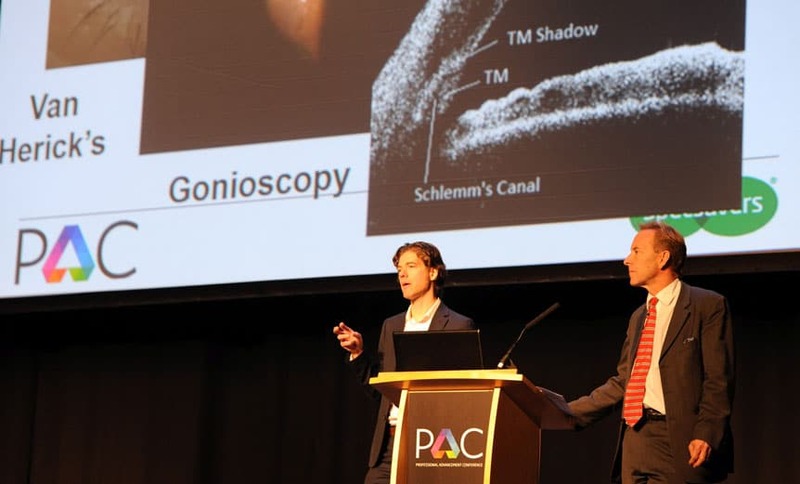 Just two years into Specsavers’ ground-breaking partnership with ophthalmology provider Newmedica, five senior consultant ophthalmologists were at the PAC to sharetheir expertise in sessions on red eye, cataract and glaucoma, flashes and floaters, medical retina and OCT. In a first for the event, a discussion workshop brought together optical and audiology professionals to examine consent issues and clinical cases involving multidisciplinary care for both hearing and sight loss. And in another first, a bespoke undergraduate programme was provided free of charge to around 80 optometry students. 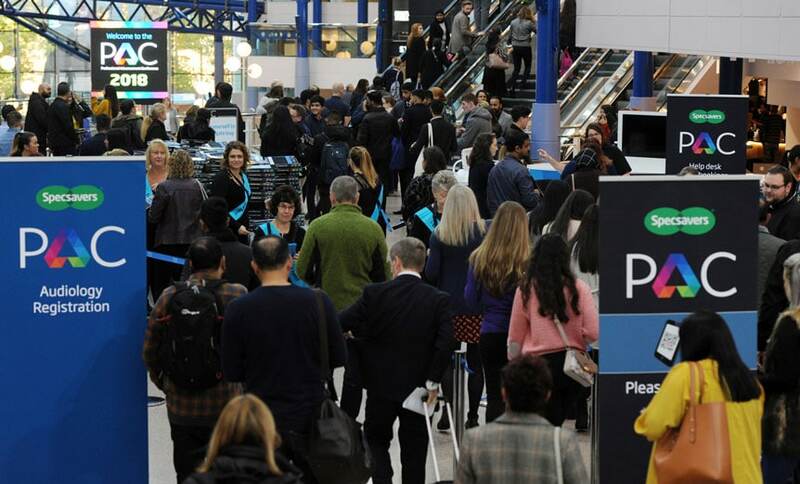 OCT was predictably popular, given Specsavers’ national rollout programme, with introductory sessions for DOs, more advanced case studies for optometrists and a supplier drop-in clinic with Heidelberg and Birmingham Optical for Nidek. Welcoming delegates to the event, director of professional advancement Paul Morris said, ‘I’m sure you are all looking forward to a great day of world-class learning and professional development. But that is not the sole purpose of PAC; it is also about networking, sharing ideas, and exposure to product and equipment that can enhance our care offering. ‘It is a unique event and, indeed, Specsavers is a unique business, where decisions are taken for the long term, not for short-term gain. It’s all about doing the best thing for patients, putting them at the centre of everything we do. The annual PAC is the culmination of Specsavers industry-leading professional education programme which has seen more than 60,000 CET points awarded during the past year. It included an exhibition which gave delegates the chance to meet with optical and audiology product and equipment suppliers as well as with the College of Optometrists, WOPEC, ABDO, and AOP, along with eye health charities RNIB, the Macular Society and the International Glaucoma Association.